We would like to offer you a new venue for meetings with your clients and customers. The Vinyl & Stereo Expo fair has a sole objective – to connect sellers and make Prague a much sought-after place for fans of gramophone records, CDs, audio cassettes, electronics and other musical articles across Europe. It takes place together with international fair Sberatel/Collector. The Vinyl & Stereo Expo event is a sales fair organized by the same team that has been organizing the successful Sběratel/Collector, Investor Prague Show, and The Prague Gem & Mineral Show fairs and the Trading Expo & Alternative iInvestments for almost twenty years. The organizers possess a database of more than 8,000 collectors all over the world whom they actively communicate with by means of a regular newsletter. Their objective is to create not just another gramophone record car-boot sales place or flea market, but a strong fair with an international impact. Why to take part in the Vinyl & Stereo Expo fair? As an exhibitor, you will receive an electronic invitation to the fair, which you can send in your name to an unlimited number of your customers. 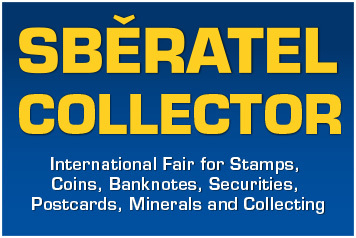 Combined with Sberatel / Collector event we attract more than 12 000 visitors. A strong, periodically repeating event in the national capital, which is expected to attract foreign customers. Exhibition area with excellent accessibility. An independent promoter with long years of experience with the organization of similar events. Supported by an unprecedented multi media campaign.